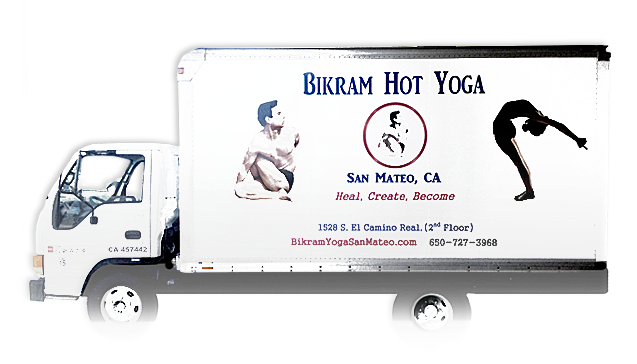 Bikram Hot Yoga San Mateo is the 26 postures Sequence selected and developed by Bikram Choudhury from Hatha Yoga. It has been proved and experienced by millions that these 26 postures systematically work every part of the body, to give all the internal organs, all the veins, all the ligaments, and all the muscles everything they need to maintain optimum health and maximum function. Each component takes care of something different in the body, and yet they all work together synergistically, contributing to the success of every other one, and extending its benefits. Practicing yoga not only increases our supplies of oxygen, but it also teaches us how to use that oxygen properly – we learn to control the breath through pranayama. How quickly you progress will depend entirely on you — upon your natural ability to a small extent, but mostly upon the time and effort you give to Yoga. It will have little to do with how “perfectly” you can do the poses. Few of us ever do the poses “perfectly”. Instead, it will have to do with how well you understand what you are trying to accomplish in each pose, how you try to accomplish your goal, and how supple your muscles and joints have become in comparison to the point at which you began. In Yoga there is no standard of comparison except yourself. To be ‘Perfect’ in Yoga is to do the best you can do. Bikram teaches you not only the ideal pose – how you will eventually be able to do it – but also the reality – telling you what problems you will have as you try to do the pose, what clues will help you make rapid progress, and where you might be tempted to “cheat,” thus depriving yourself of the benefit of doing the pose properly. Bikram explains to you, in his inimitable humorous and informative way, how his scientifically designed series of twenty-six poses will enhance mind and body, relax, strengthen, reshape, and heal all of you in 90 minutes. Since the studio is heated to 105 º you need to have a large towel, a yoga mat, and a water bottle for class. We sell mats and water as well as rent mats and towels. Dress as light as possible. Men wear shorts or bathing suit. Women wear exercise top and shorts or a swimsuit. T-shirts are bulky; tank tops are better. Drink lots of water for several days before your first class if you’re not in the habit of drinking water. Doctors estimate you need at least 2 liters per day for normal body maintenance. Double that for doing Bikram yoga. If you drink large quantities of caffeinated drinks or eat mostly processed foods it can effect your body’s ability to tolerate the heat, so please cut down on these items in preparation for class.